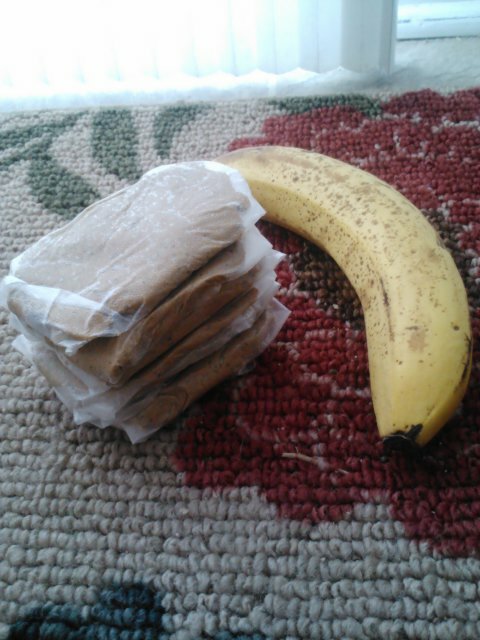 One in a series of posts about how I stay on a budget while getting my fill of healthy, vegan foods from higher-end stores. As it is the week before Thanksgiving break (hollllllla!) I was in a bit of a pickle. I was running out of some things I need weekly (almond butter, kale, nuts, olives, almond milk) but I didn’t want to make a big stock-up trip and end up wasting money on things I won’t be able to use up in a week or be able to keep around until after break. I knew I couldn’t really live on what was left in my fridge unless I wanted to be totally restrictive and veggie-less for the week so I made the trip to Whole Foods…twice! Yeah, crazy, I know, but one of those times I went with my mom when she came up with the rest of my family for the weekend and the other time was a semi-emergency trip. All this stuff should last me through this Thursday, and some of it I should be able to take home with me over Thanksgiving or just leave here without risking food poisoning. And I didn’t spend too much, which is a total win! 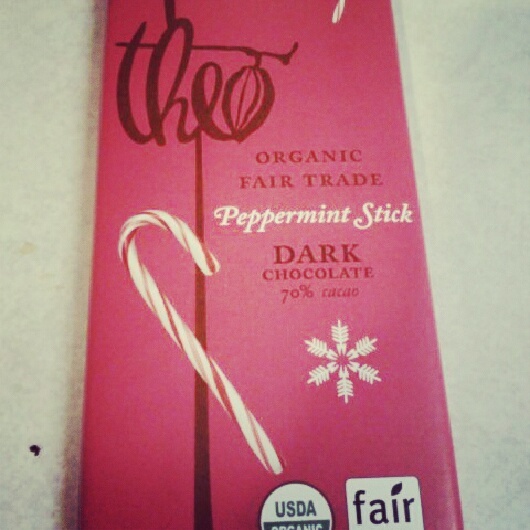 New find, just in time for the holidays! And it’s fair trade! Verdict: I could have maybe skipped the chocolate and the raisins, but I wanted to prove to myself that I could go outside my comfort zone and buy a couple items I’ve been wanting for awhile but haven’t been brave enough to try. 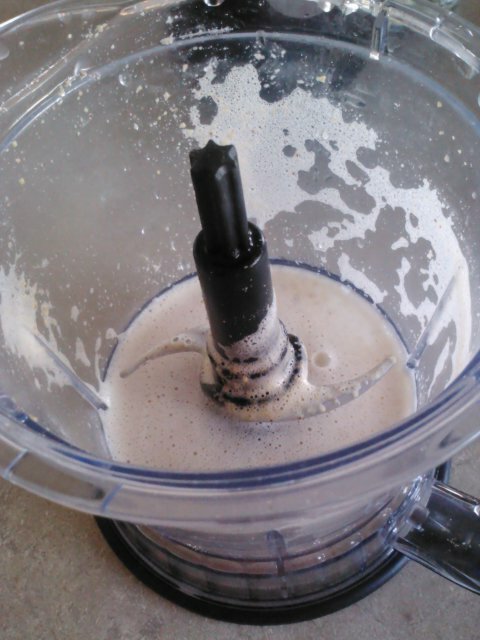 The protein powder was a total leap of faith (I’ve had the brand before, but a different flavor) but it was worth the money–great taste, good nutritional profile, awesome ingredients. 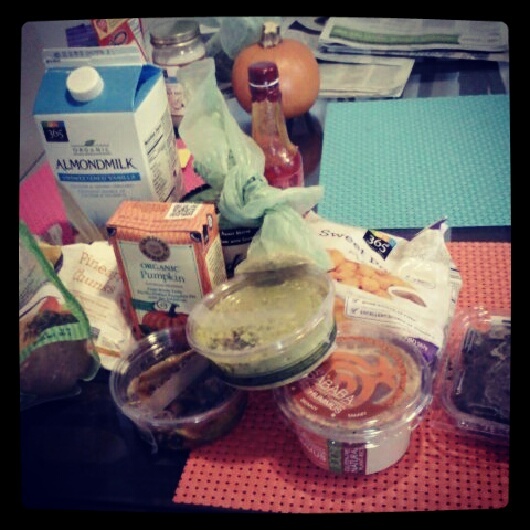 My bigger Whole Foods haul, with plenty of produce and staples. Verdict: I am so happy I stayed just under $80 for this week’s groceries (this is a new goal of mine for every week) and I got a lot of good stuff I was out of so this was a much-needed trip. Even better, we went at night so the store was not crowded at all! Like I said above, I want to try to stick to a budget of $80 a week on groceries (I think I can do it!) 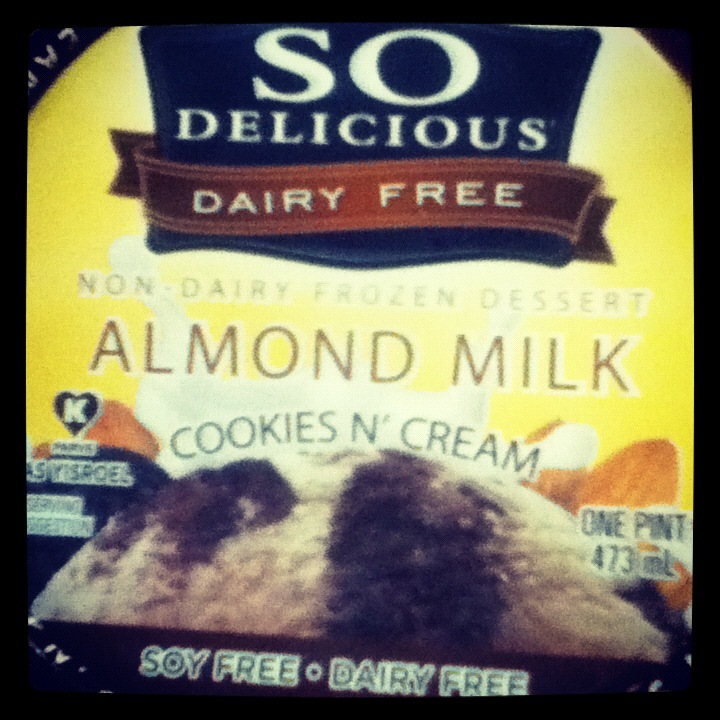 and this week showed that I can do it, even buying more expensive items like the protein powder and vegan ice cream. I know there are certain things I don’t want to give up, because the higher price is worth the health benefits and taste, but I also know there are ways I can keep whittling down my budget to consistently stay around the $80 mark each week. If you use protein powder, do you buy it online or from a store? What are some things you can’t live without every week? 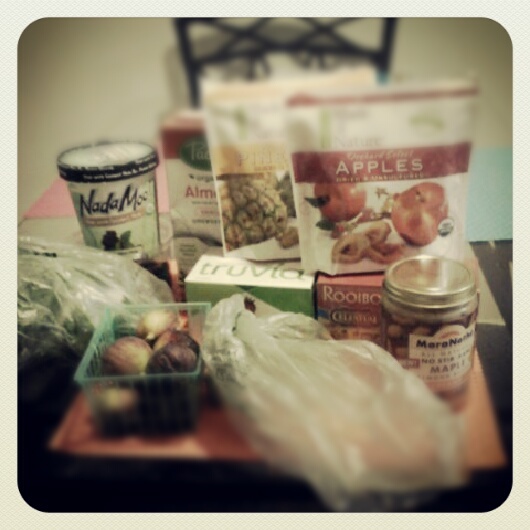 A look into my adventures of learning how to budget shop for healthy vegan groceries. After my refrigerator fiasco of last week (BTW: I got a new fridge out of the deal, score!) I had to throw out a bunch of my food. Normally I don’t mind tossing things that I didn’t love or whatever, but now that I’m buying almost all of my own groceries, it kinda hurts to have to waste so much, especially not by choice. I just didn’t want to risk getting sick! However, I was excited to do a big restock of my fridge and freezer. 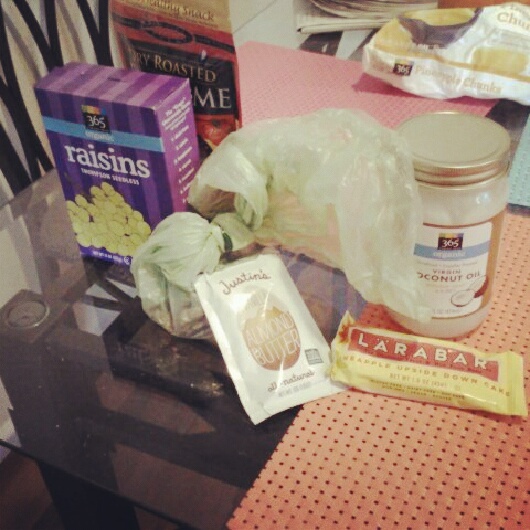 Yeah, I get excited over grocery trips. Lame, maybe, but I don’t care! Anyways, I went on a couple shopping trips this weekend while I was at home and my dad was nice enough to buy a few things for me so I won’t be counting those things in my budget list, but I am pumped to try them. I got my first ever kabocha squash and after hearing so many amazing things about them I am roasting mine ASAP, and I also got a chocolate raspberry Raw Revolution bar that sounds so good. Verdict: So glad it came in under $100. I had to do a bunch of restocking since my fridge was basically empty, but I got a bunch of things that will last me a while like the nooch, coconut oil, hummus and sweet potato puffs. I only spent over $5 on 3 items, which is a great way to save money. Those more expensive items add up! 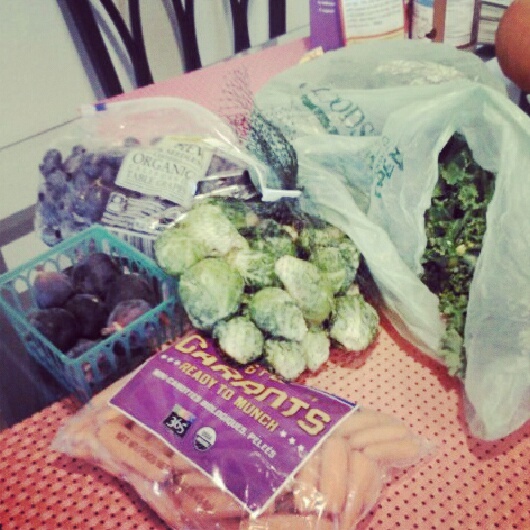 Produce (minus apples and yams). Now I’m all restocked and ready to go for another week here at my apartment! I’ll be doing some meal prep throughout the week and will hopefully come back sometime with some recipes for you to try out. Tonight I’m making socca pizza for the first time…with a twist! How much produce do you buy every week? What’s your favorite dip/dressing? 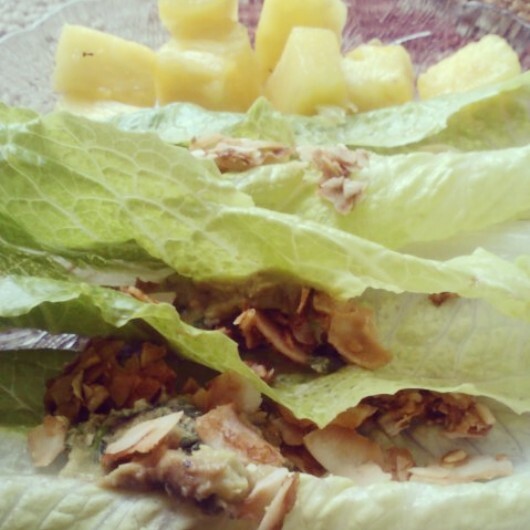 I haven’t done a legit WIAW in awhile, you know, like posting all my eats from one specific day. Really, it’s just more fun to highlight some of my favorite meals from the past week instead of doing it all from one day, plus I always forget to take enough photos! But I thought I’d try to do a real WIAW this week since I actually remembered to take pictures. 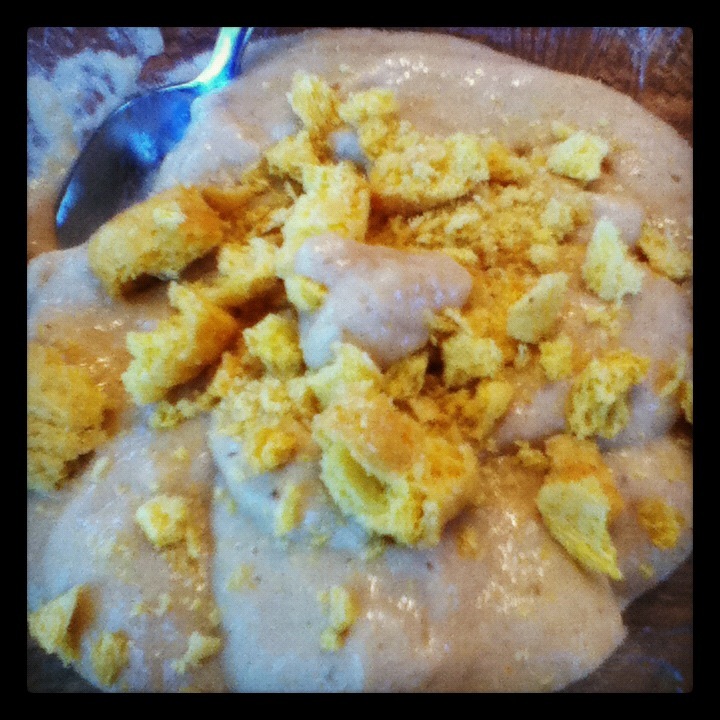 Breakfast: peanut butter banana smoothie-in-a-bowl made with So Delicious unsweetened Almond Plus almond milk, peanut flour, xanthan gum, Truvia, mini banana and topped with peanut butter Puffins. 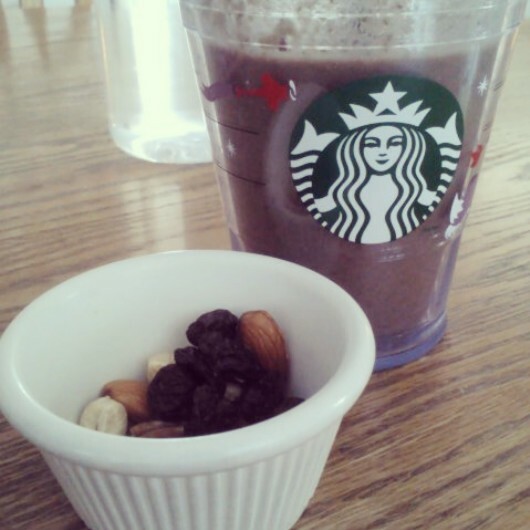 I’ve been experimenting with almond milks lately. So far, I’ve tried Pacific Naturals u/s vanilla, Almond Breeze u/s vanilla & chocolate, Silk u/s plain and So Delicious Almond Plus u/s plain. I’ve liked all of them, Almond Breeze and Silk are the creamiest and have the most calcium, not to mention I prefer the vanilla to plain, so I think I’ll be sticking to those to those two brands. The So Delicious one is good if you want a little extra protein (5 grams versus 1 gram per cup in most almond milks) but I wish they would come out with an unsweetened vanilla. 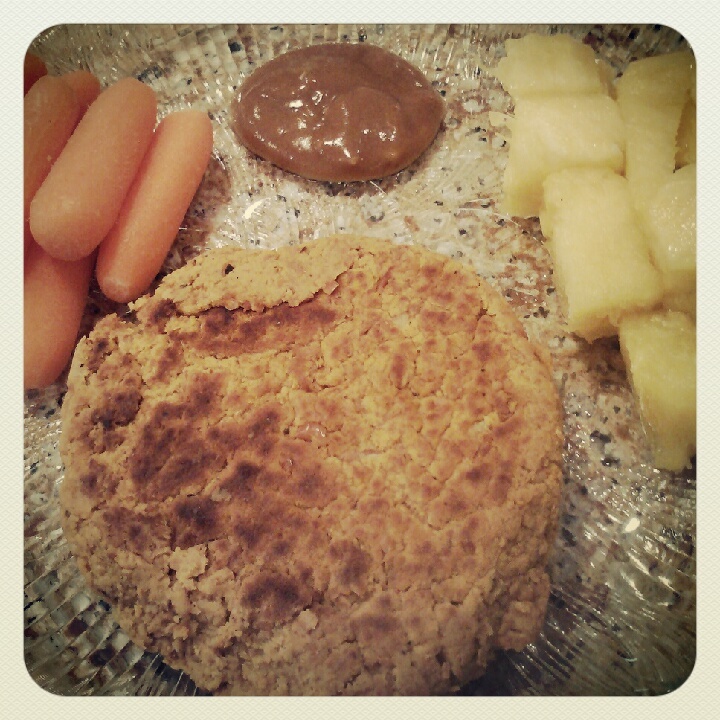 Lunch: curried sweet potato pinto burger, carrots, ginger peanut sauce, fresh pineapple. Being home has meant cooking for myself (for reals!) pretty much every day. For me, this isn’t a bad thing at all. 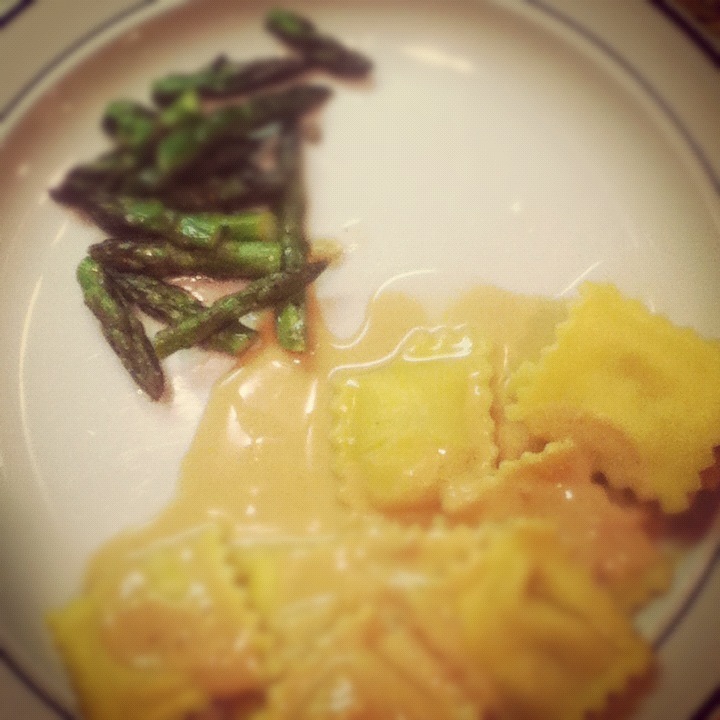 Basically, because the rest of my family are omnis, I have to make my own dinner which has inspired me to get creative. Somewhat. I remade these awesome veggie burgers from spring break and they’ve been making an appearance at both lunch and dinner lately. 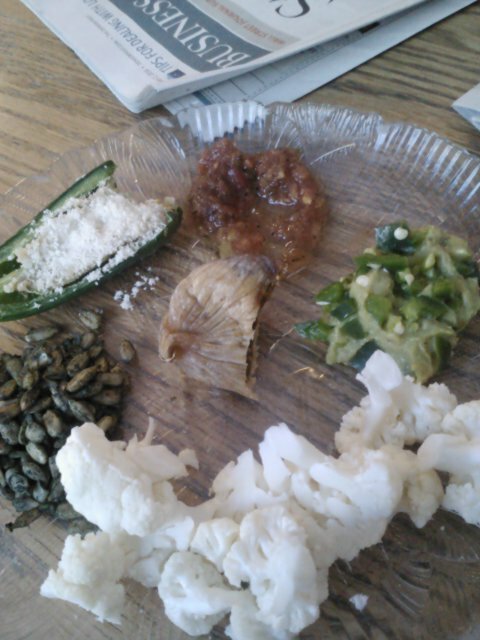 The problem with cooking for one is you end up with a lot of leftovers…which maybe isn’t a bad thing at all! 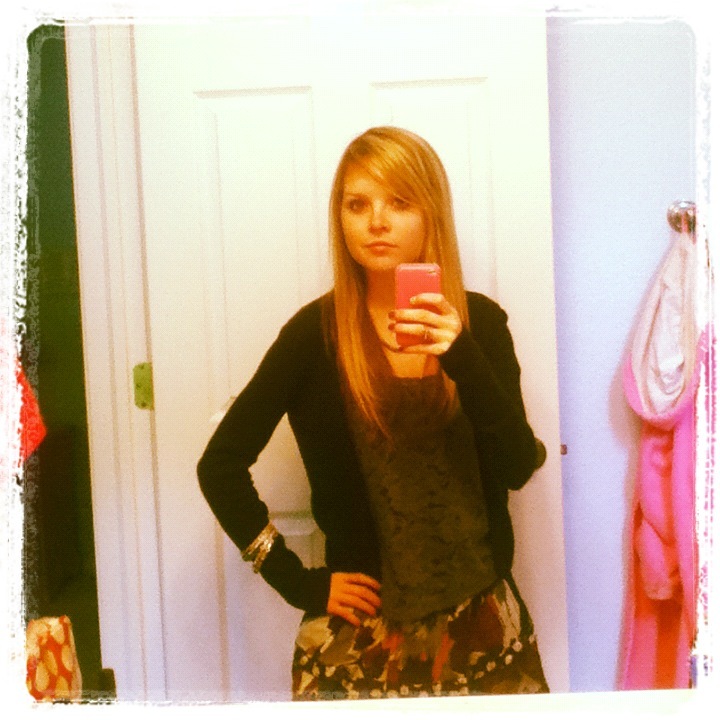 Monday’s outfit: navy cardigan (American Eagle), dark grey lace tank (Hollister), navy/dark grey abstract floral skirt (Hollister), bangles (American Eagle). The weather has been so effing bipolar here! Since I’ve been home, the weekends have pretty much sucked (temps. in the 60s at best, lots of clouds and wind, maybe some rain) and the weekdays are hit and miss. Monday was pretty warm, but cloudy for most of the day so I missed out on tanning. Boo 😦 Tuesday was super-warm, but I spent some of the day inside for my first day of my internship. What I did spend outside was extremely hot, even early in the morning. I’m just hoping this weekend is better because I want to do a lot of stuff outside. 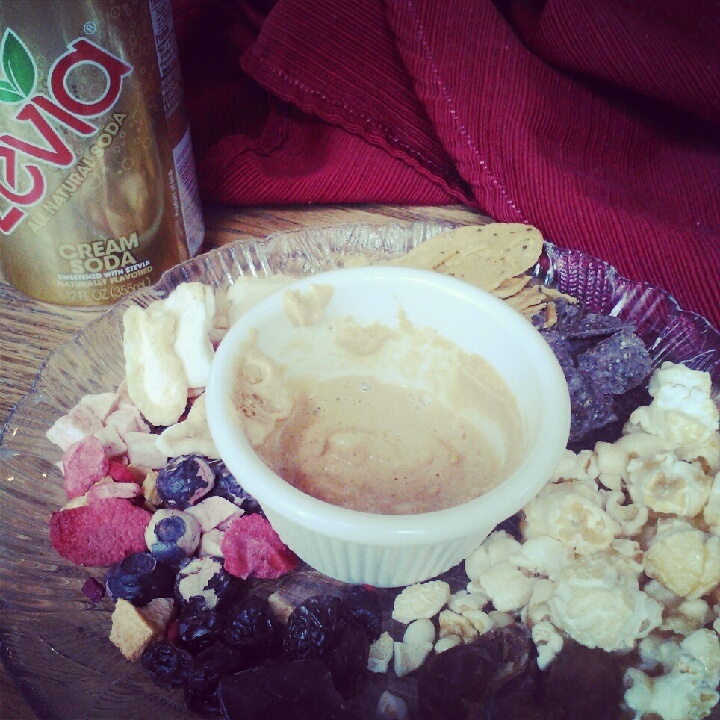 Snackplate: freeze-dried fruit, raisins, square of dark chocolate with almonds and sea salt, stuffed date, kettle corn, blue and sweet potato Late July chips, peanut flour paste. 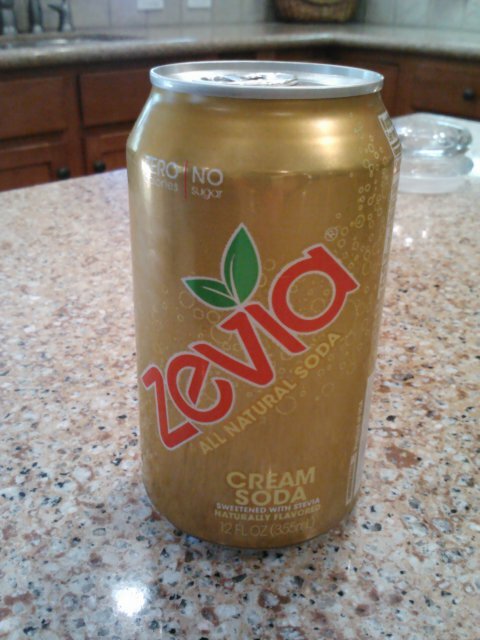 Side of (half a can of) cream soda Zevia. 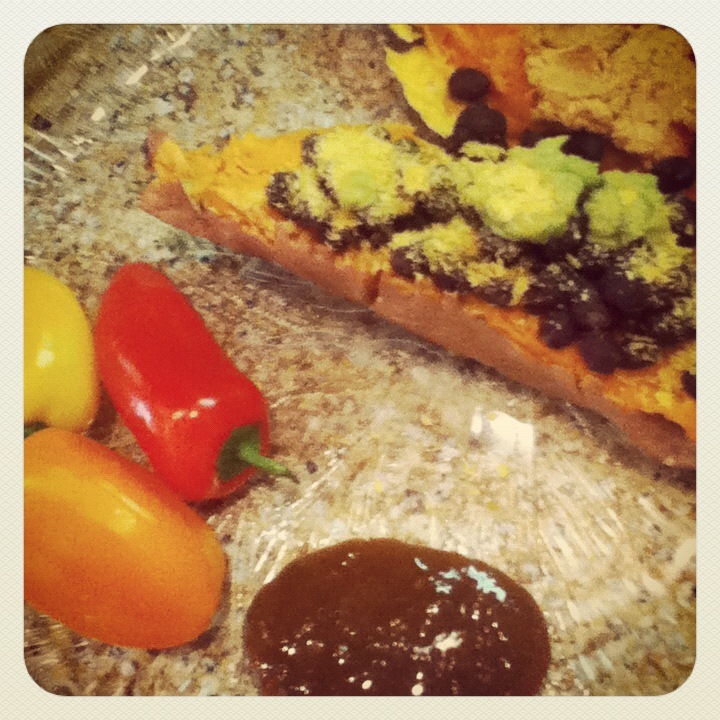 Dinner: Hugh Jass sweet potato topped with black beans/guac/nooch on one side, peanut flour paste on the other, side of mini sweet peppers and ginger jalapeno sauce. The picture doesn’t do it justice, but this was one monstrous sweet potato! I enjoyed every last bite of it though, and of course had to please both my savory side (with the Mexican-inspired toppings) and my sweet side (with the peanut flour paste). The mini peppers are my new favorite veggie for summer, especially dipped in this spicy sauce. I can’t say enough good stuff about the Ginger People line of sauces. 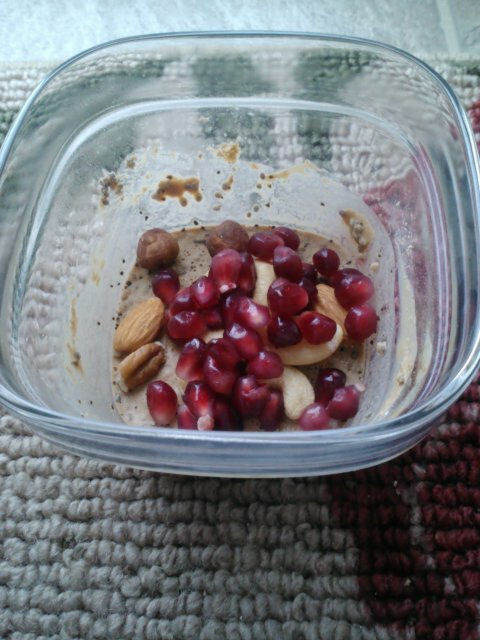 I love both kinds that I’ve tried and now I wanna try them all, well at least the ones without eggs or dairy in them! 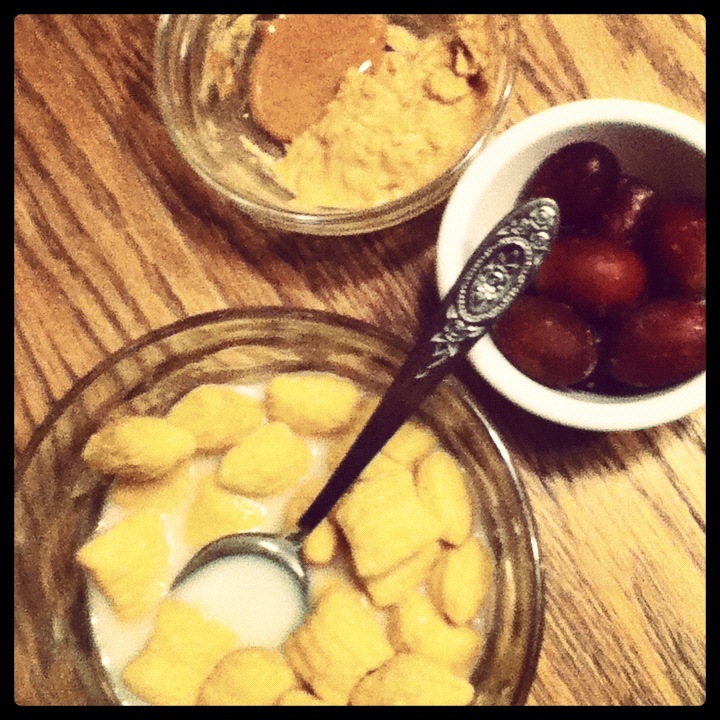 Nighttime snack: PB Puffins in u/s almond milk, frozen grapes, peanut flour paste and almond peanut cashew butter. Do you tend to eat the same things every day or multiple times per day? What’s your favorite thing to cook for just yourself? So in case you haven’t noticed, it’s already almost May. Ummmm, what the heck?! Seriously, I feel like just the other day it was Christmas. Like many other college kids, I’m feeling pretty burned out on school at this point. But my summer unofficially begins in 10 days, so obviously I am beyond psyched for that! I say unofficially because I have only one final exam this time around, so I’m starting my summer a little early, heading home next Friday and popping back up here to take my final the following Thursday…then my summer will officially begin! Because of this burnout, which extends to many aspects of my life (oh summer, please come faster!) I’ve decided to do a little Top Ten list type post for today, as a little recap of my weekend, and also because I can’t really think about posting an actual post 😀 Hopefully you enjoy this for the time being though! 1. Fruit. Okay, technically this is cheating, but there are a billion fruits I can’t live without, from grapes to pineapple to watermelon to bananas to raspberries to kiwi to…you get the picture! 2. Almond milk. I love the unsweetened vanilla kind, but the plain unsweetened is kinda growing on me. 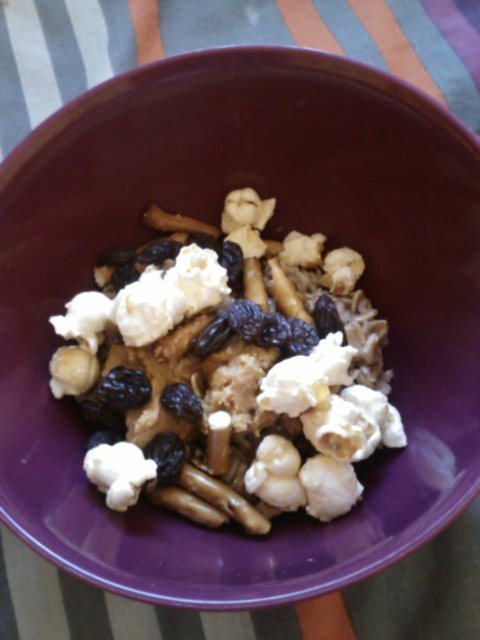 My favorite oats combo at the moment--topped with kettle corn, pretzel sticks, raisins and peanut flour/almond peanut cashew butter. 4. Kale. It’s great in chip form, cooked up with some salt/pepper/garlic on the stove and even raw and massaged with some kind of dressing. 5. Tempeh. My vegan “meat” of choice. I love it’s nutty flavor! 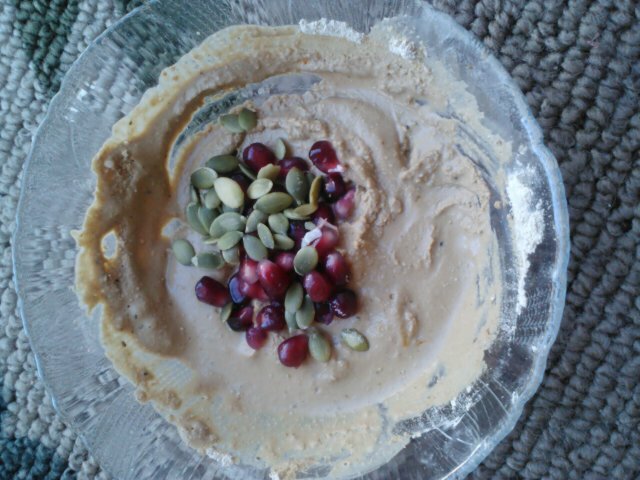 I prefer peanut flour to PB2, I just store mine in an old PB2 jar so it's less messy! 7. Kalamata olives. 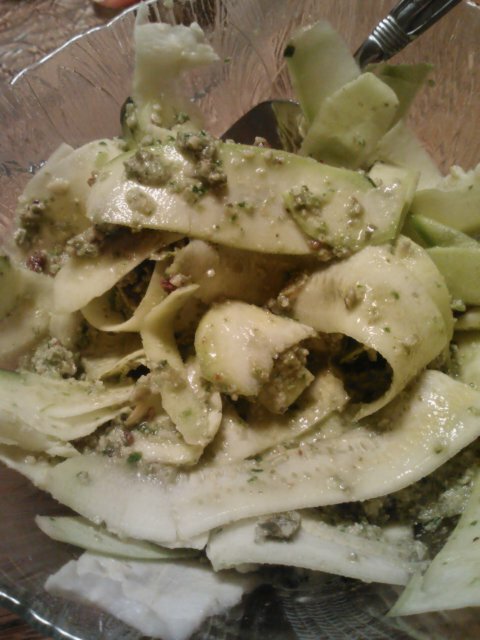 Some people can’t stand olives–I don’t understand those people! 8. Medjool dates. So gooey, so caramel-y, so addictingly good. 9. PB Puffins. Do I really even have to explain this one? 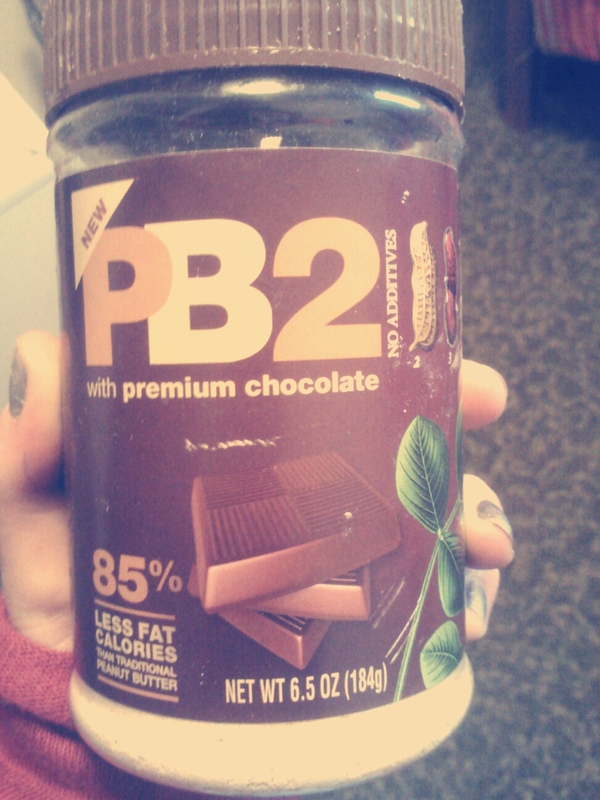 It’s basically my crack (besides peanut flour). 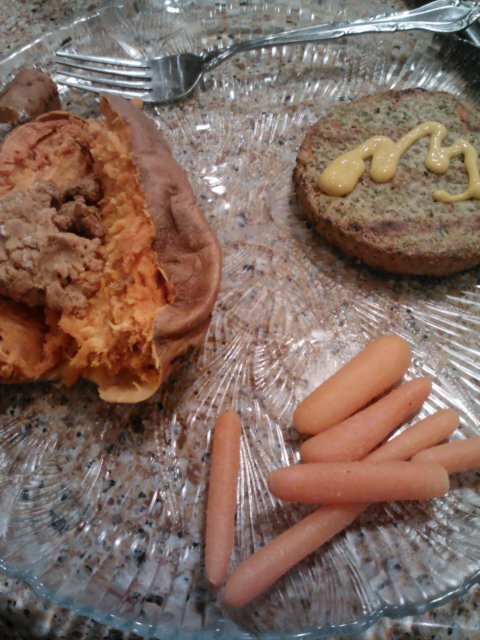 Saturday's simple but yummy dinner: sweet potato topped with peanut flour paste, baby carrots, garden herb Sunshine veggie burger topped with mustard. 1. Went to an independent film fest with my dad. We’ve gone to it since it started 5 years ago–we both love seeing random short indy films. 2. Went to church on Saturday night. Pretty self-explanatory! 3. Went out to eat…4 times! Normally, we barely ever eat out, except for when my mom drops me off back at school after a weekend at home. Due to our busyness this weekend, we had to eat out a lot. Definitely a struggle for me with my ED thoughts, but I mostly succeeded. Yes, I did order ‘safe’ things, like salads and veggie/hummus plates, but I truly enjoyed all of them. My favorites of this weekend were the salad I ordered at Mad Greens on Friday afternoon (baby spinach topped with Kalamata olives, dried cranberries, artichoke hearts and garbanzo beans with a fat free balsamic dressing) and the salad I got on Sunday night at Noodles (the Med salad with no dressing or feta, topped with grilled tofu). I kinda learned that I’m really not a tofu girl–it’s not necessarily the texture, but the taste for me. I’m not the hugest fan. 4. Played tennis with mi padre. Usually we play singles and a half (because we play with my sister) but she was unavailable so the two of us just played singles. It was so warm out and I was running around more than usual, so it was a great workout! 5. Grocery shopping. When my mom and sister picked me up on Friday afternoon, we hit up the Whole Foods and Super Target up here, then back at home we picked up a couple more things at the Super Target by us. And on Sunday, my dad and I ventured to Walmart where I stocked up on Truvia. 7. Rode my bike for the first time since last fall. I never get the chance to ride it during the winter because of snow (duh) and there was even some lingering snow when I came home for spring break. I got in two quickie miles that were super hard because my tires were flat. Oops! 8. Worked on my final papers. Not fun, but they have to get done at some point! 9. 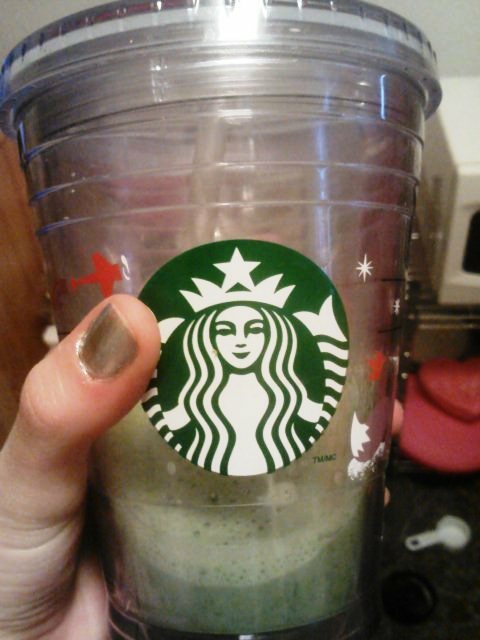 Starbucks trip! I ordered a tall unsweetened iced coffee with 3 pumps of sugar-free hazelnut. 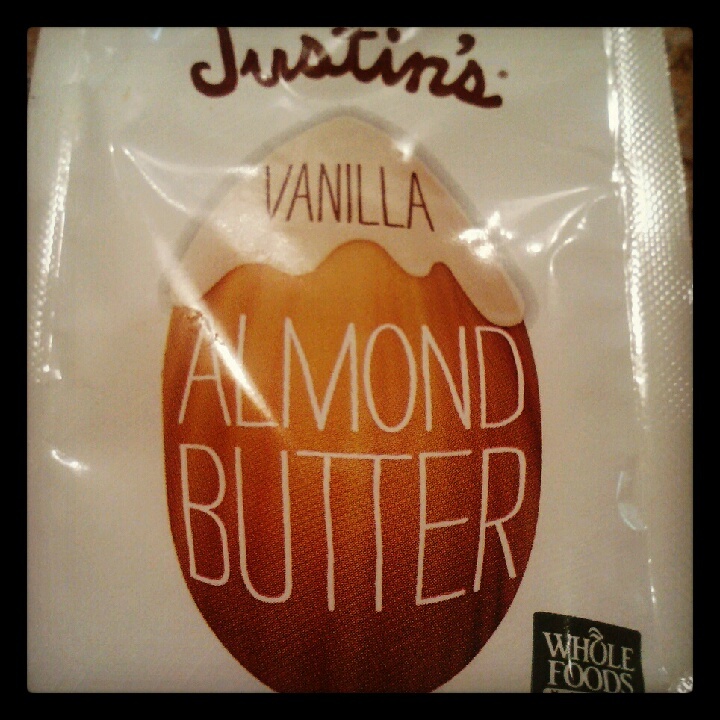 Even better than the plain unsweetened with Truvia. I loved the nutty taste. 10. Repainted my nails silver and pink. I love this color combo and I actually haven’t had it since the beginning of school back in August! 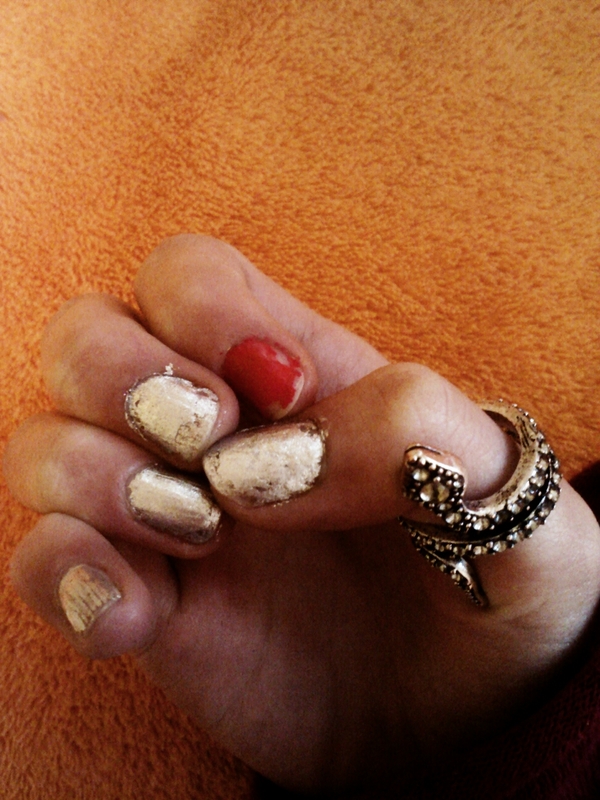 My (slightly chipped) nails, and my lovely snake ring from American Eagle. 1. Finish my papers/essays. I’m definitely on track, just gotta keep my motivation up. 2. Clean my room. Vacuuming, dusting and all that should probably be done before I peace out. 3. Laundry. I don’t want to burden my mom too much, so I’m planning on washing my sheets and towels. 4. Finish up my last two weeks of classes. Even though I’m so done, I still have to get through 8 more days of classes. I can do this! 5. Make a (huge) list of recipes to make this summer. Some of this list will be coming ‘atcha tomorrow or Thursday for WIAW. 6. Turn in the last page of my internship stuff. The adviser in charge of organizing internships for students has such limited office hours that every time I stop by her office she isn’t there. I need to get this in though! 7. Move everything out of my room. Most of this will be done next Friday, and the rest the day of my only final. Not exciting or fun, but it’s gotta be done. 8. Sell my textbooks? Since I won’t be here during finals week, I’m not sure if this will get done, but I hope it will so I won’t have to have all these books laying around until the next buyback. 9. Study outside. It’s been incredibly nice here lately (I’m talking 80 degrees in April!) so I want to do this at least once. 10. Move out of the dorms…forever! I can’t tell you how excited I am for this. I love my dorm this year, since it’s all my own and it’s new and has air conditioning, but I am so ready for my own place next year. 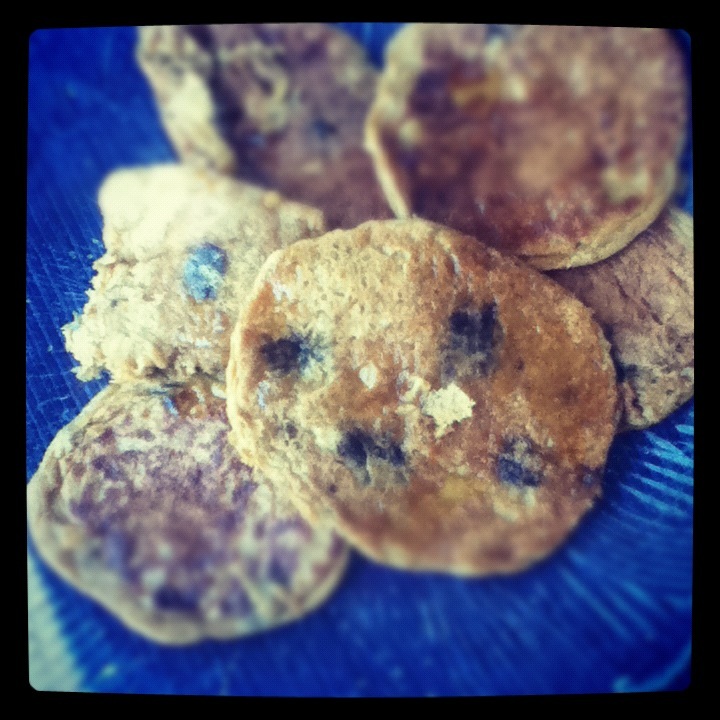 What’s on your top ten foods list? What’s the best thing you did this weekend? Heeeeey guys, I loved hearing what you think about Larabars! I always like to know what other people’s preferences are and try out new things based on a good review. Today’s WIAW will be basically wordless, besides the captions, and just a mishmash of foods I ate throughout the weekend and early part of this week. Obviously this is not all I ate, nor was it all eaten in one day, it’s just some of the highlights of what I’ve been noshing on. 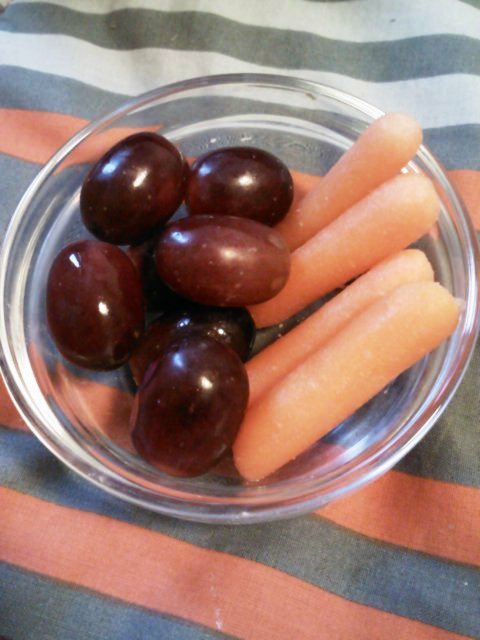 Baby carrots and (shiny) red grapes. 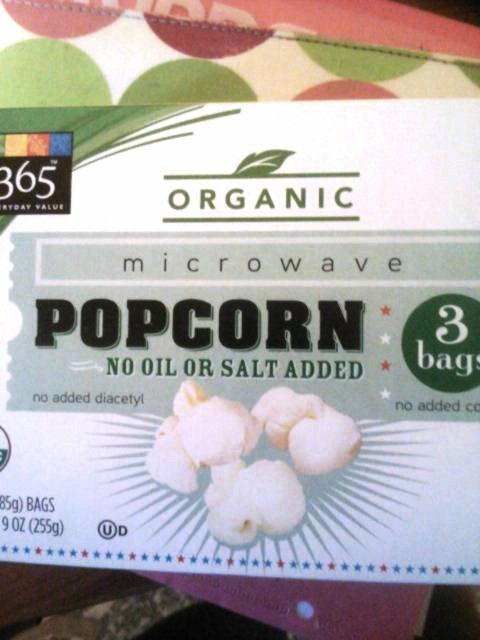 I love Whole Foods' no salt no oil popcorn, especially sprinkled with nooch! 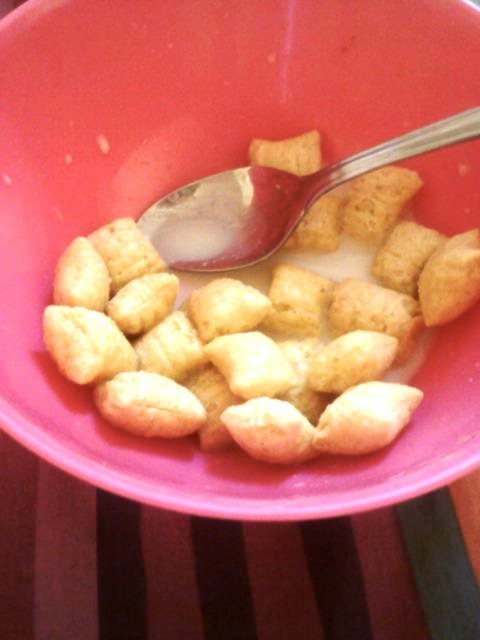 Peanut butter Puffins in unsweetened vanilla almond milk are my crack. 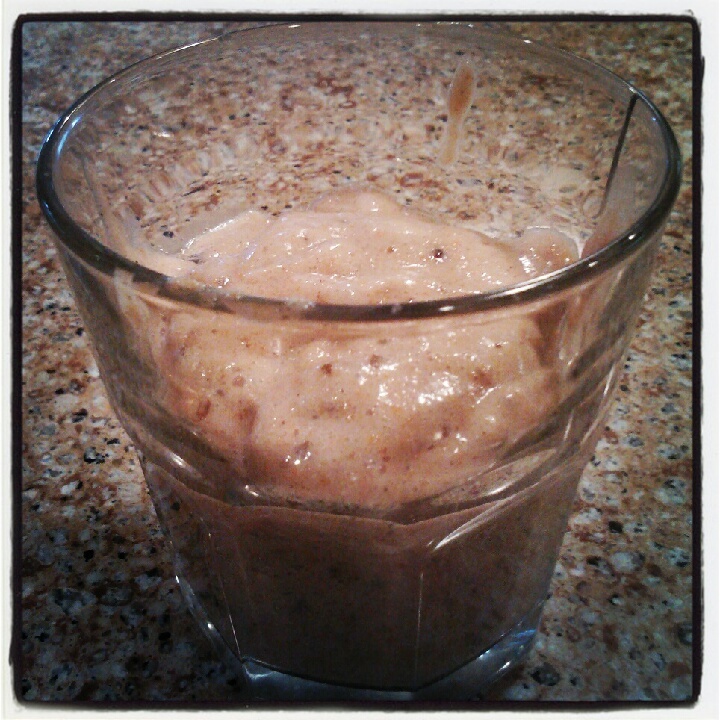 My first time trying kale in a smoothie--and it's actually delicious, mixed with u/s vanilla almond milk, frozen banana and Truvia. 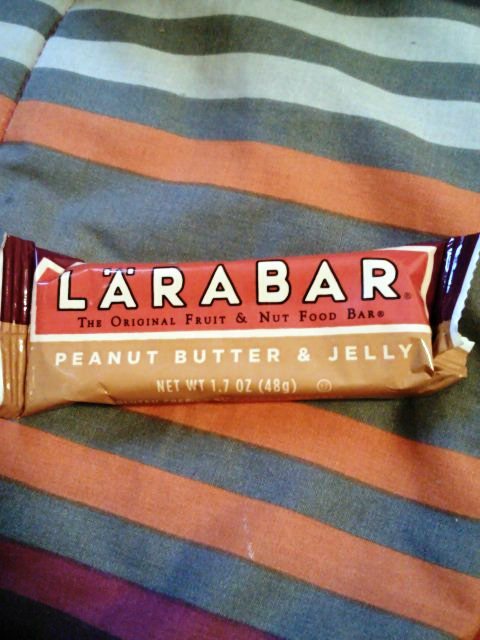 My latest Larabar find--peanut butter and jelly. It was just okay, not bad, but I wouldn't buy it again. 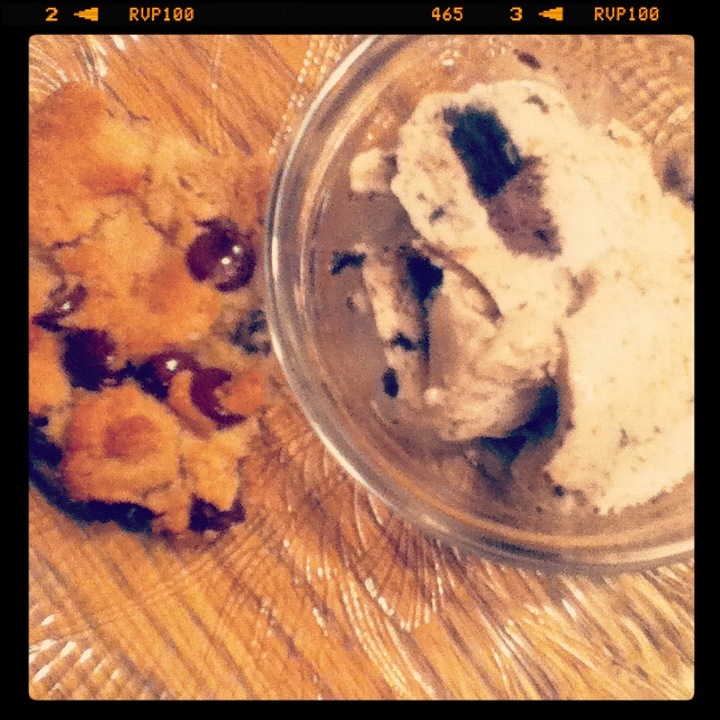 Bring on the cappuccino and chocolate chip brownie flavors instead! 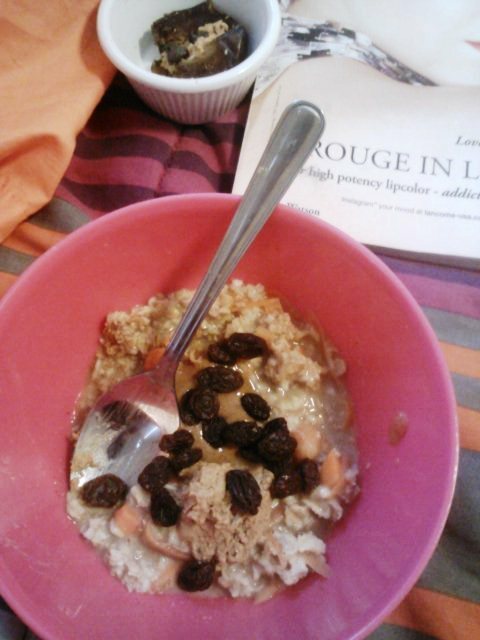 Carrot cake overnight oats (topped with raisins, almond peanut cashew butter and peanut flour) with a side of fashion magazine reading and a stuffed Medjool date. 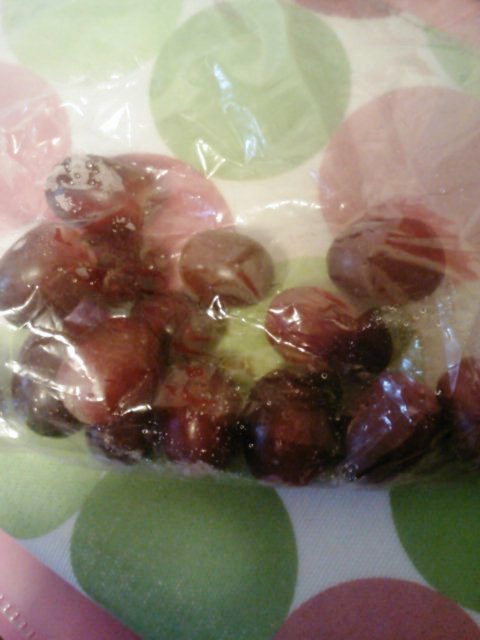 Frozen grapes > fresh grapes. 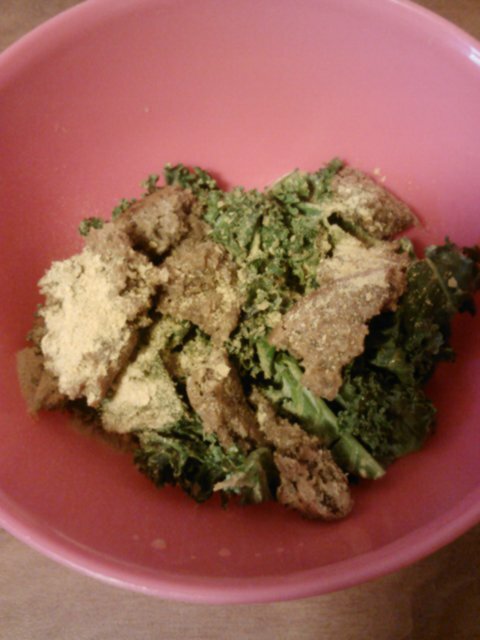 Raw massaged lemon pepper kale topped with nooch and crumbled hempfast Sunshine burger. I have been obsessed with nooch on everything lately! 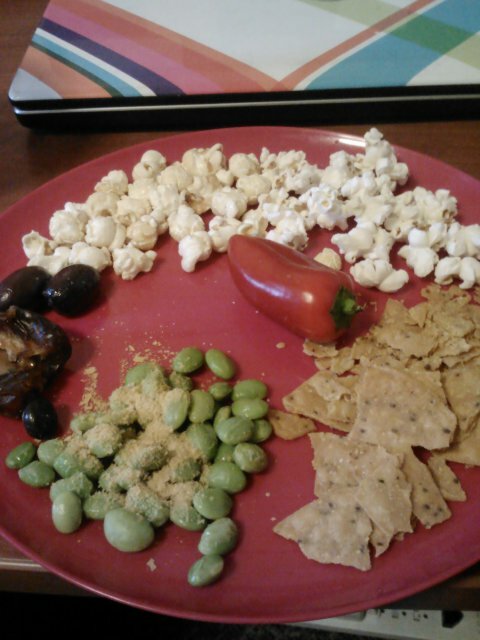 Another of my typical snack plates, with nooch-ified edamame, Late July sweet potato multigrain chips, mini sweet pepper, plain popcorn and kettle corn, kalamata olives, Medjool date and dark chocolate espresso bean. What is the best thing you ate this past weekend? Have you ever tried kale in a smoothie?